Merchant Taylors > News > Clubs > MTGS Pupil Merseyside Squash Champion! MTGS Pupil Merseyside Squash Champion! 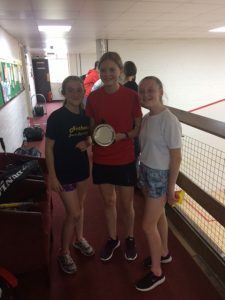 Congratulations to Eleanor Sinker in Year 10 who recently competed in the Merseyside Squash Championship. We are pleased to announce that Eleanor won the championship and is now the Under-15 Merseyside squash champion. Well done Eleanor!